David Higgins is through to the weekend in Madeira. 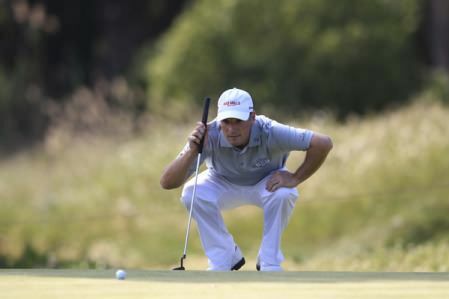 Picture Eoin Clarke www.golffile.ieDavid Higgins hit eight birdies in a rollercoaster 69 to make the cut in the weather-delayed Madeira Islands Open – Portugal – BPI. 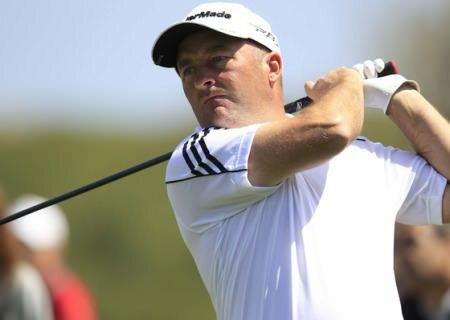 As Damien McGrane fired a second successive 71 to trail clubhouse leader Craig Lee by seven shots on two under, Higgins leapt into the top 40 when he followed his opening 75 after a three under par effort featuring just five pars. The Waterville man - 190th in the money list - had two birdie hat-tricks, one on each nine, to get back to level par. Tied for 38th with the second round incomplete due to lack of light, he has given himself a chance of making a cheque that could be crucuial in his efforts to retain his card at the end of the season. 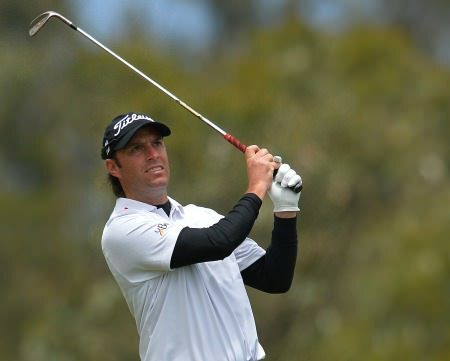 Lee shot a four under par 68 to lead by one from former US Amateur Champion Peter Uihlei, who threatened to shoot a 59 but ended up carding a 64. Lee, a Challenge Tour graduate in 2011, was forced to come off the course for an hour and 20 minutes early on his round after fog fell over the Clube de Golf do Santo da Serra course, where the second round was later suspended due to darkness. But that didn’t faze the Scotsman as he made light of the windy morning conditions to card five birdies and just a single bogey, moving him into the driving seat for a maiden European Tour victory. Later in the day American Uihlein, the son of Walter Uihlein – CEO of major golf apparel and equipment manufacturer Acushnet - looked set to storm to the top of the leaderboard after he carded eight birdies and an eagle to move briefly to the summit on 10 under par, through 12 holes. As excitement built at the prospect of a 59 at the stunning mountain-top venue, however, the wind began to show its teeth and Uihlein bogeyed the 15th and 16thto card an eight under par 64 and finish the day in tied second, one shot off the pace. Host club professional Dara Ford, 33, added an 81 to his opening 76 and will miss the cut on 13 over par. 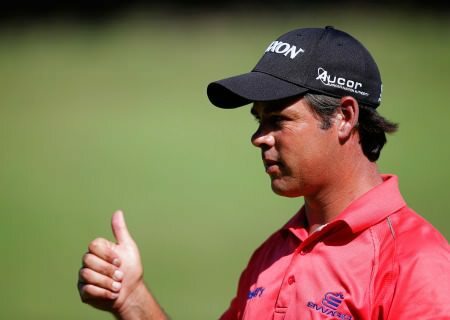 Clubhouse leader Jaco Van Zyl © Getty ImagesDavid Higgins staged a spirited first day comeback but faces a long day at the course to make his first cut of the season at the weather-delayed Africa Open.